Here it is again! It's the new limited edition collection by KOH and the first one for 2013. KOH Love Story is the name of the collection and I'm starting off with KOH Our Song. Our Song is a crème polish and something between a cyan and a robin egg blue. The formula is thick and so creamy that one can almost get away with just one generous coat. Here, I've applied two medium coats. This is the whole KOH Love Story collection at a glance. It's a set of somewhat softer shades, obviously to go with the lovey-dovey, mushy theme. Even the dark and the bright shades seem pretty toned down. It's such a contrast from the previous va-va-voom collection, KOH Show It. These polishes were kindly provided by KOH Cosmetics. The KOH Love Story collection will be available in stores some time in January 2013. Price: €14.99 per 10ml bottle. Here's wishing all of you Christmas Peace. Enjoy the celebrations! When I saw this then newly-launched mascara in the store early this year, I just knew I had to get it. Yes, the packaging is terribly ornate and, dare I say, pretty, but that's what we've come to expect from a sugary brand like Majolica Majorca anyway. It was really the name that got me. So promising! Lash King.....that's way up there with lash-related extremes like Colossal, Telescopic, Million, Magnascopic and Bionic. Let's have horse eye lashes! 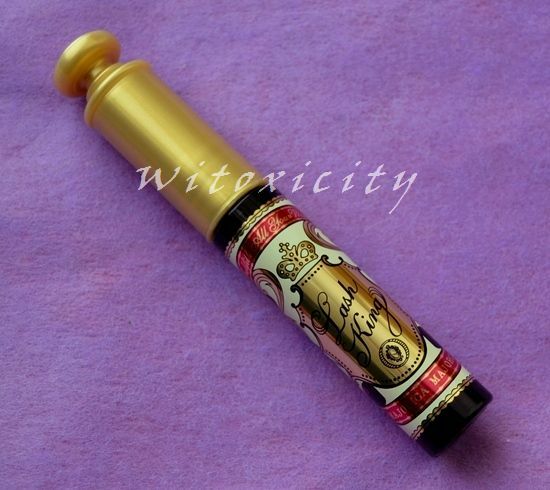 Majolica Majorca's Lash King mascara did meet my expectations at first. Okay, my lashes did not turn out looking quite like those of a horse's but the mascara was longlasting, it lengthened my lashes a great deal, it provided good volume and it held the curl fine. 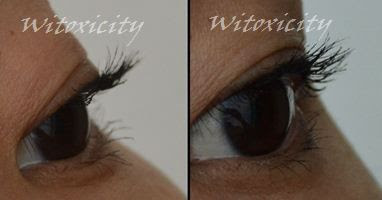 I had fluttery eyelashes and the lashes felt natural, i.e. not stiff. However, it seems to have lost steam a couple of months down the road. 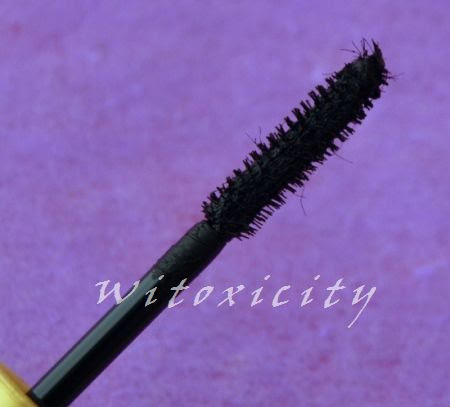 It's still longlasting with no smudging and it still does a great job of lengthening the lashes but, lately, it's been rather disappointing in the volume and curl department. The formula is drier now and I suspect that has something to do with its subsequent poor performance. I took these picture about two months after I started using Lash King. I've seen better but as you can see, it didn't do too badly in all departments - length, volume, curl. It's O-K but you'll see in the picture on the right that a few lashes have lost their curl. By the way, I'm wearing the black version, BK999. A product blurp full of superlatives! What it boils down to is that it's a liquid plus fibre mascara. I know there are other fibre mascaras out there but this is my first one. It's been an interesting experience, to say the least. 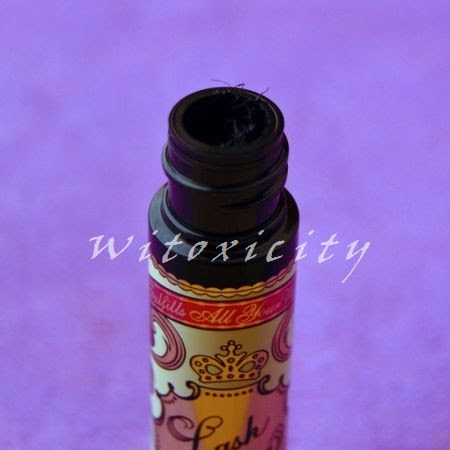 Lash King has little 'hairs' in the mascara liquid which Majolica Majorca says are 5mm long fibres. I played with a couple of these fibres with my fingers and they are almost like lint. I like that these fibres do a great job of lengthening my lashes but I've also had unpleasant incidents with them. They always say to work the mascara brush from the roots of your lashes and zigzag your way up to the lash ends. Well, you'd have to be careful with the Lash King. I somehow had fibre poking my eye. It may have been one strand or perhaps two strands clumped together but what happened was that half of that strand was nicely attached to the root of a lash and the other half was pointing down and jabbing and irritating my eye. It was a delicate job extracting that strand of fibre. That happened twice and since then, I stopped putting the mascara brush right at the very roots of my lashes when I apply Lash King. I've heard of some ladies getting loose fibres in the eye too, so ladies, do be careful. The applicator/brush is short and stubby (which I like). Majolica Majorca calls it the, ahem, Acrobat Catch Brush which delivers a generous dose of mascara liquid and clearly separates the lashes. It's a fancy name for a mascara brush that doesn't look too unusual to me. I have no complaints about the brush though. It works fine. Oh, one more thing: the mascara has a strong plasticky smell. This is a waterproof mascara. It isn't too difficult to remove just as long as you use an oil-based eye makeup remover. You know the drill. Just dab, hold and repeat. Don't rub, tug and curse. All in all, I'm not overjoyed with Lash King although at the beginning, I thought I would be waxing lyrical about it. Just the other day, I checked my lashes in the mirror in the evening and saw that my lashes had lost their curl. They were still long, thanks to the fibres, but they were stick-straight! This is a mascara to reach for if you just want length. I will continue using Lash King nevertheless. I bought a back-up too when I bought the first one - so confident was I! 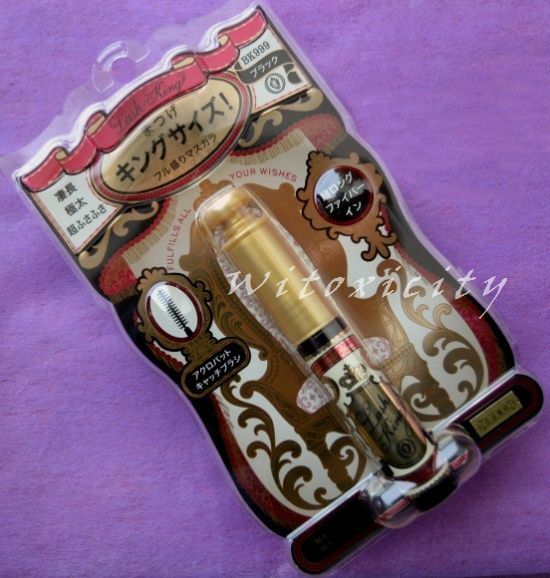 [slaps self] After that, I'll go back to using Majolica Majorca's Lash Enamel Glamour Volume On Mascara. Yes, I've got back-ups of this one too. Majolica Majorca products are easily available in the Far East. If you haven't got easy access, try Amazon or Amazon UK. Weleda is a brand that I admire a lot. It's surprising that I've ever written only one post on it - the Weleda Pomegranate Regenerating Hand Cream. There are many things about Weleda that I find endearing - its roots, its philosophy, its holistic approach to health and skincare, its use of Biodynamic Farming methods (which encompasses much more than just organic farming), its fair trade partnerships and of course, its truly wide range of natural products. This is one brand that I think communicates very well with its consumers, which in turn has certainly helped shape my view of the brand. Is that down to fantastic marketing communications or just plainly effective propaganda? For now, I'd settle for the former. 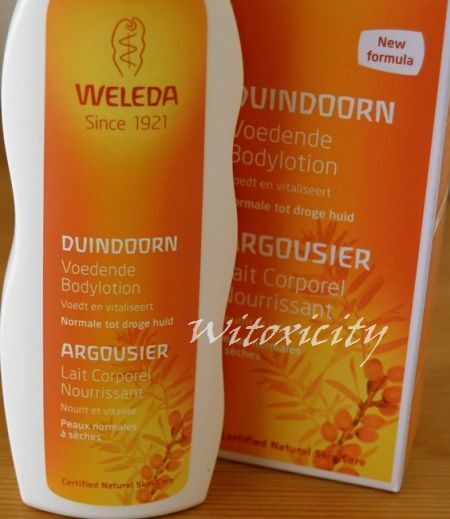 Weleda revamped its collection of body lotions some months back. They tweaked the formula here and there and made a radical change to the packaging. 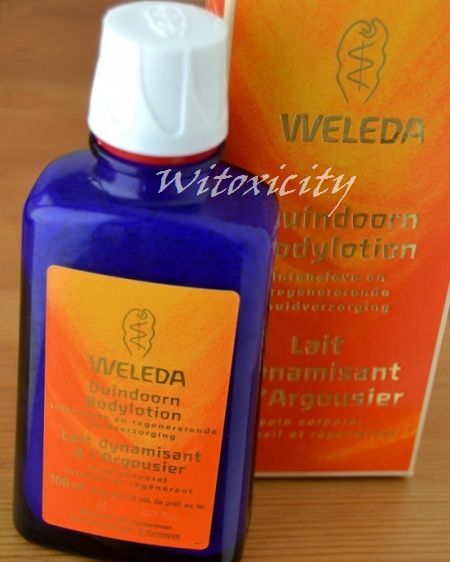 The Weleda body lotions come in four variants: Citrus, Wild Rose, Sea Buckthorn and Pomegranate. 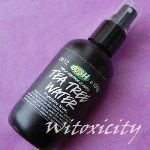 I bought the Sea Buckthorn one as I had already been using this variant in the old version. The creamy Sea Buckthorn Replenishing Body Lotion protects dry skin from moisture loss, activates your skin’s self-regulating functions and leaves you with lasting replenishment and renewed vitality. This unique composition contains organic sea buckthorn’s natural vitamins, carotene and unsaturated fatty acids, which support your skin’s vital barrier functions. Combined with organic mallow extracts, shea butter and macadamia seed oil it helps dry skin regain its vitality and look smoother and softer. Water, Sesame Seed Oil, Alcohol, Shea Butter, Glyceryl Stearate SE, Glycerin, Sea Buckthorn Oil, Fragrance*, Macadamia Oil, Mallow Extract, Xanthan Gum, Tapioca Starch, Cetearyl Alcohol, Limonene*, Linalool*, Citronellol*, Benzyl Benzoate*, Benzyl Salicylate*, Geraniol*, Citral*, Farnesol*. The ingredients are 100% natural and 97% organic. Shea butter, macadamia oil and mallow extract. The old version didn't have these. It also had a more runny consistency and I went through the bottle like lightning. The new version is a tad creamier, I find. 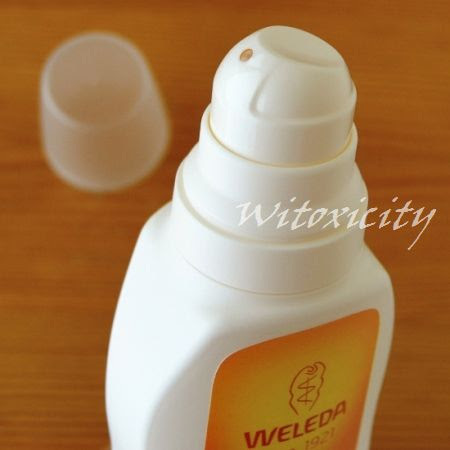 Speaking of bottles, it's obvious that Weleda has put a lot of thought into the new packaging. The body lotion now comes in a recyclable plastic bottle that actually houses a thin, flexible bag inside. Weleda calls it "bag-in-bottle" and that together with the vacuum dispensing pump means that the contents don't get exposed to air, which works out great for Weleda's artificial preservative-free product formulations. The pump has been working fine. It makes a squishy sound sometimes but there has been no clumping or clogging so far. Even the shape of the bottle is comment-worthy. 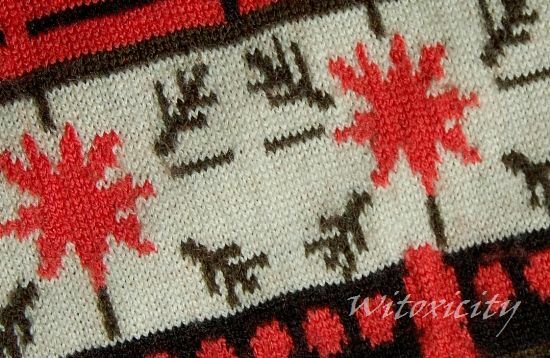 You might have noticed that it's asymmetrical. 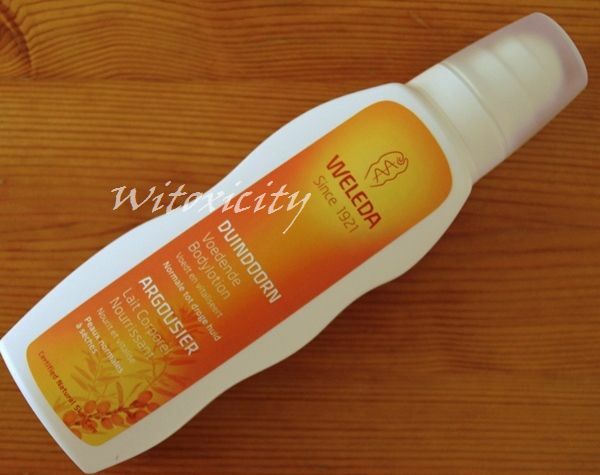 It seems to have been designed to reflect the squiggly lines of the Weleda logo. If you're wondering what the logo represents, you can read about it here. I'll tell you one thing that hasn't changed - the scent. I adore the smell of this body lotion. The citrus melange of mandarin, orange and grapefruit oils is a great pick-me-up in the mornings! The body lotion goes on nicely. I didn't find the old version 'potent' enough - it was perfect for summer but it just wasn't moisturising enough for winter. Anyway, I think there has been some improvement in the moisturising efficacy of the new version. As someone with extremely dry skin when the cold season strikes, I won't call it the super ultimate body moisturiser for in the dead of winter but it's certainly a better version of its predecessor. If your skin doesn't get as dry as mine, then I think this body lotion would work very well for you in any season. That's the cover of an old Weleda magazine. I've been a subscriber to their magazine for a couple of years and I've learnt a lot about Weleda, its practices and its relationships with farmers through its publications. Weleda websites are chockful of information too. 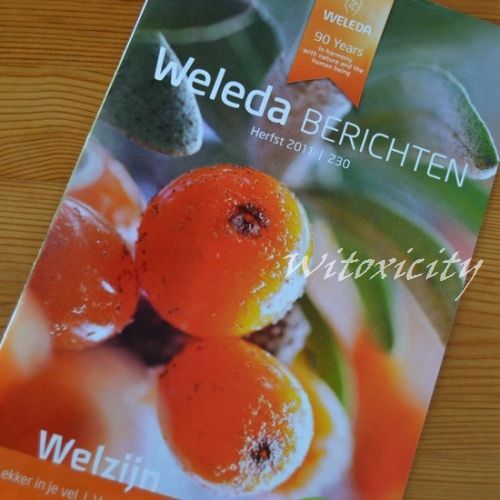 Interesting fact: The sea buckthorn that Weleda uses comes from a Biodynamic farm in Tuscany, Italy. Mr. Kurt Künzi has been working with and supplying Weleda with sea buckthorn for over ten years. 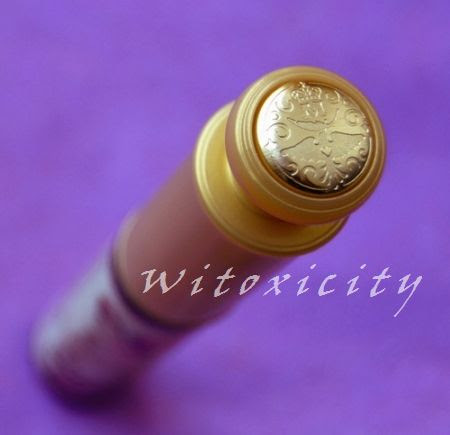 Please check my first post on Weleda to read more about its history. Weleda products can be purchased from your local drugstores and also through websites like Amazon US and Amazon UK. Photography by Witoxicity unless otherwise stated. All content © 2009 - 2018 Witoxicity.com. All rights reserved.